A ninety-year-old steel toll bridge, fifty miles east of Portland was the first of several bridges that connect the states of Washington and Oregon, and it is here there that Native Americans say a natural land bridge once stretched across the mighty Columbia River long before white explorers arrived. The legend of the Bridge of the Gods is one of my favorite stories from childhood, and it contains all the important elements of folktales. 1. A sense of mystery or wonder. 2. Built around a Theme. 3. Explains something about the world. 4. Attributes human characteristics to animals or objects. 5. A lesson for life (the “moral of the story”). Once there was a great bridge of earth and rock stretching across the Columbia River in the Northwest. The gods of the earth took pity on an old woman, promising her eternal youth and beauty if she would keep a warming fire at the center of the bridge for the sake of those who traveled across the river. Two warriors became attracted to the woman and began to argue over who would have her as his wife. The arguments turned to fighting, and the woman could not get the men to stop. The gods of the earth became angry over the violence and selfishness of two men, so they caused a great earthquake which shook the bridge, causing it to crumble into the river. 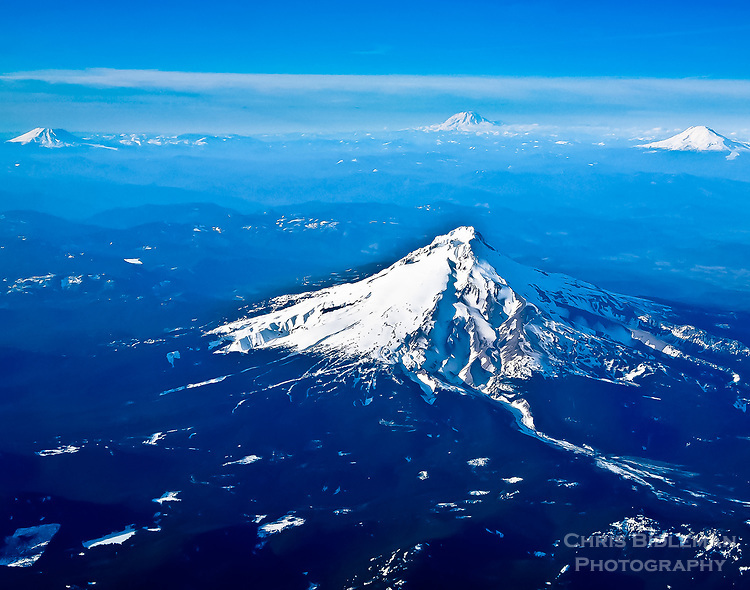 They turned the warriors into mountains: Mount Hood, south of the river, and Mount Adams to the north. They turned the woman into Mount St. Helens, the most beautiful mountain of all. 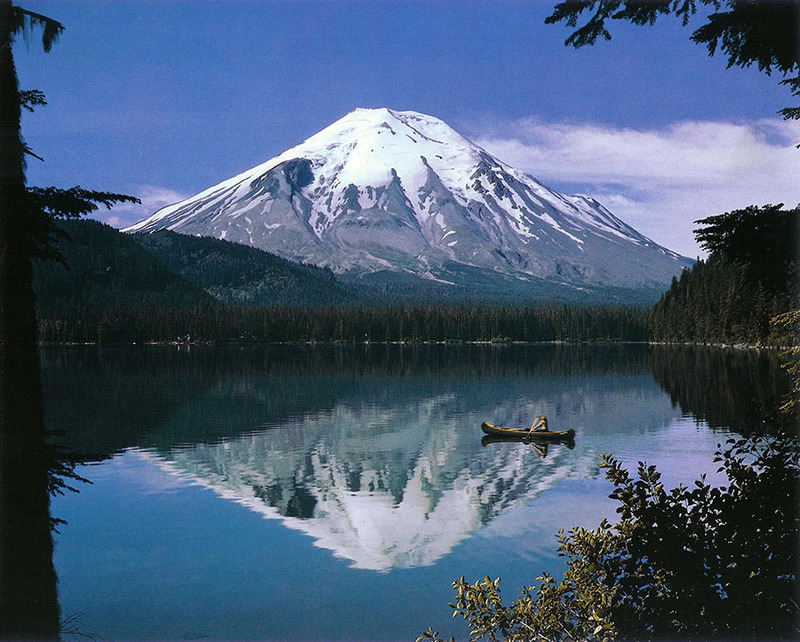 And Mount Hood and Mount Adams were condemned to gaze from a distance at the beautiful Mount St. Helens, standing between them, never able to have her or to even touch her. Do you see within this Native American legend the five elements of a traditional folktale? (1) The sense of wonder comes from the idea of a natural land bridge stretching across one of the widest rivers in North America. (2) The theme of desire and romance is clear throughout. (3) The story explains why there is no longer a natural land bridge, and it also explains the existence of the three of the largest mountains in the Cascade Mountain Range. It may further explain the occurrence of a powerful earthquake that may have really happened long before Lewis and Clark set eyes on the region. (4) The three mountains are personified as three ancient people. (5) Finally, the “moral of the story” is clear, warning of the dangers of jealousy and the consequences of violence and rage. Take some time to read some folktales this fall, or create some of your own just for the fun of it! 1. Read some folktales from your region. 2. Make a list of the folk tales you recall from childhood. 3. Identify the five main characteristics of folktales in these stories. 4. Rewrite two or three of your favorite stories from the above lists and read or tell them to some children in your family. 5. Write your own folktale, including all the characteristics listed above.